EatHappy is an app that provides healthy meal choices at affordable restaurants, and functions as a meal guide and nutrition coach rolled into one! What sets us apart here from other nutrition apps is that we step away from calorie counting, which can be intimidating and doesn’t educate on how to pick better meals. 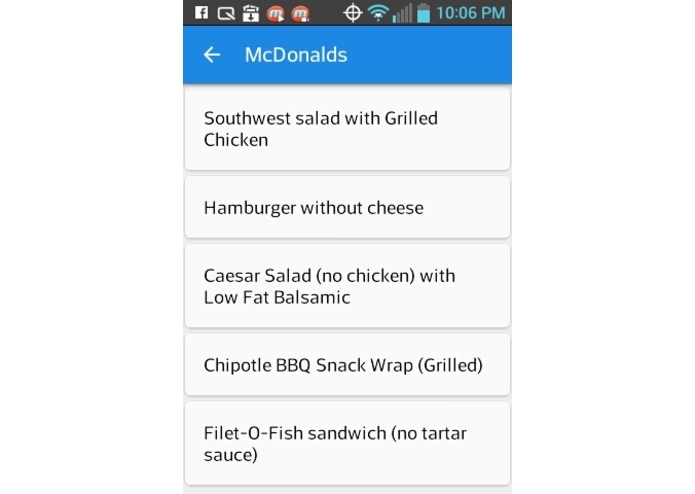 We envision that these meal recommendations are a starting point for Mary on which to build her own meal plans. 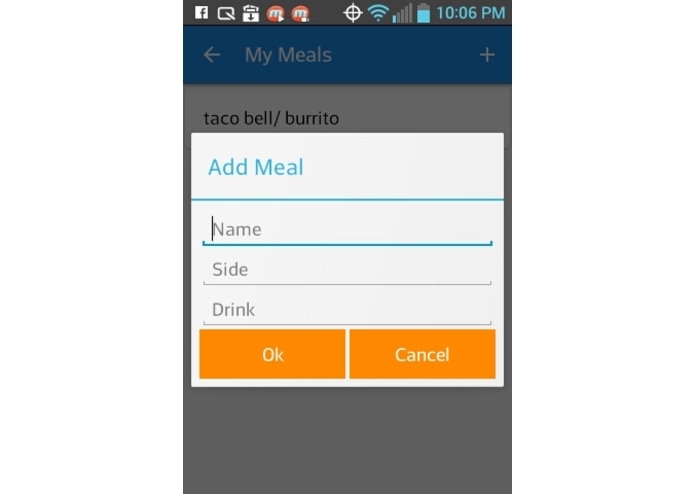 In addition to providing meal ideas, we included a MyMeals option to enable Mary to add custom meals based either on her nutritionist/doctor's specific recommendations, or her own meal ideas as she learns more about nutrition. 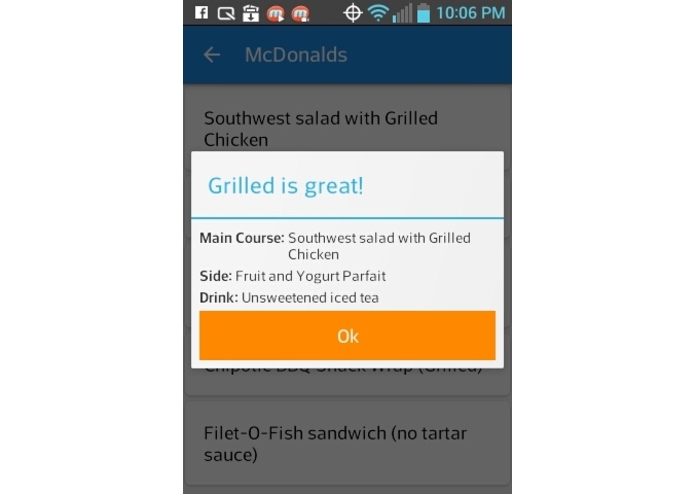 We currently provide 15 meal options in 4 widely found fast food restaurants and plan to update this periodically to include more meals and grocery shopping ideas as well. The app was tested on multiple versions of Android (4.1.2 and 5.1), which we chose based on the range of phones available through the Lifeline phone program for low income Americans. We are happy to present a well-tested, functional app that was developed specifically to help Mary face her nutrional challenges. We hope that Mary and people like her will find value in this app to lead a healthier lifestyle.